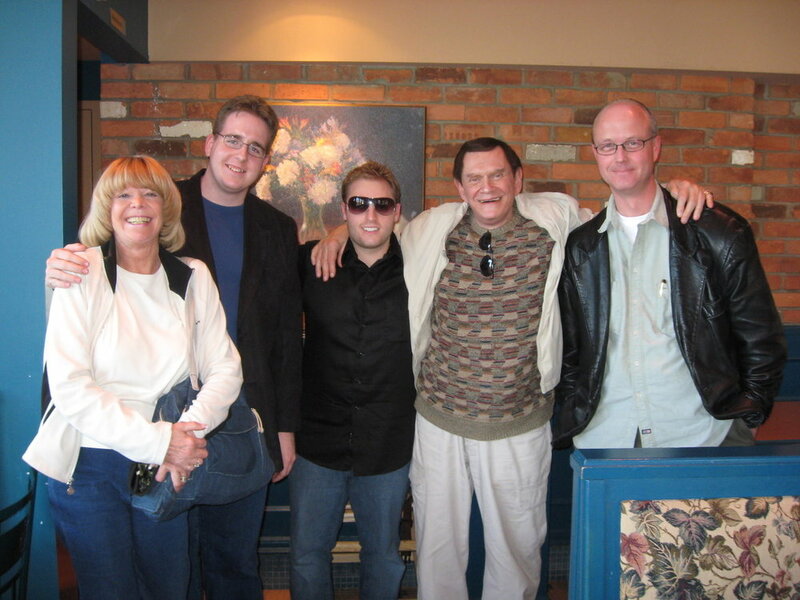 I was saddened to hear yesterday of the passing of one of the truly great magicians of the past hundred years, Johnny Thompson, at the age of 86. Although he had retired his legendary stage act “The Great Tomsoni & Co” which he performed for decades alongside his wife, Pam, he was still constantly at it teaching and consulting. You got the feeling he was like the Energizer Bunny; that he would go on forever. But alas, you can only do so much impossible in one lifetime. I first met Johnny the Niagara Falls Comedy & Magic Seminar organized by (now good friends) David Peck and Anthony Lindan. Not really knowing much about him, I got to see his legendary act close the show. It was simultaneously sidesplittingly funny and utterly baffling. The man was pulling live doves, as far as i could tell, literally out of thin air. The man literally oozed secrets. While sitting in the passenger’s seat of my Honda Civic, he would just tell stories and explain things. It was plodding along in traffic on Yonge Street that he taught me so much of the subtle inner workings of the famous “Egg” trick. I was still just performing close-up magic at that point and didn’t have a use for it. But later and to this day, it is a central pillar in my show and never fails to astonish… all thanks to Johnny. Years later I would find myself working on his monumental magnum opus The Magic of Johnny Thompson. At the same time, I was also working on digitizing and indexing performances from the Magic Palace where Johnny appeared several times. Towards the end of the project, I was assembling a 60 second highlight reel and as the last clip I picked one of the bird appearances from his appearance. What was particularly gruelling was to try and line up the clip so that the appearance of the bird was timed to the show’s theme music, which involved watching it over and over and over and over again, moving the clip over a fraction of a second each time. However at that same time, I was reviewing early drafts of the book and planning the photos, so as I was watching this bird appear repeatedly, I was also looking at the instructions for how he was doing it. Years before, we were having coffee and (for no particular reason other than he wanted to share) he took his empty coffee cup, tucked it into his jacket and explained how he made his famous dove productions — the secret is in the little finger! Still today, I’m not entirely sure where that bird is coming from. Such is the magic of Johnny Thompson. This is clip. Here are The Great Tomsoni and Company! My friend Nicholas Wallace will be appearing in Toronto in January as part of the Next Stage Theatre Festival with his show Strange and Unusual. Back when we were hosting Magic Tonight, Nick was one of our most requested guests (certainly the creepiest guest), and earlier this year he received the Allan Slaight Award for Canadian Rising Star in Magic. Unfortunately, Nick lives rather far away, out in that mysterious void on the other side of Hamilton, so getting a chance to see him perform in Toronto is rare. But he’s here for five nights at the Factory Theatre and there is an early bird discount up until this Friday, December 7. Just use the promo code EARLY BIRD (with the space) at checkout. The show is definitely worth seeing! The end of the year is and we'd like to help you celebrate the magic of the holidays with some magic for grownups! If you're planning a party for your workplace, your friends or family, let's make your event truly unforgettable this year. Bring the wonder and astonishment with a full magic show after dinner. Fun, exciting, funny and extremely interactive. Break the ice with mingling close-up magic to kick the night off with energy and excitement. Perfect when you want to keep your night simple with cocktails and hors d'oeuvres and not have a big production. A complete evening of magic: Enjoy apps and shreables and finely crafted cocktails. Get a mixology lesson from the cocktails wizards at Suite 114 (Toronto) or Grand Spirits (Orangeville). Plus a full evening of magic! Use your imagination, pick your own format and we will craft something special specifically for your event. Dates at the end of the year are always in high demand and go quickly so availability may be limited. Don't miss out and contact us today for rates and availability. Earlier this year, I took part in the Browser’s Bash, a special one-day convention attended by over three hundred magicians in Toronto. They recently published their retrospective. It was a wonderful day full of great magic. For the past year, I've been working quietly on a project I'm now thrilled to share. A new addition to The Screening Room, an online archive of vintage magic videos hosted by Magicana brings the private magic video collection of Larry Thornton to the world for free. Larry Thornton, of Calgary, Alberta, recorded magicians in his hometown and at magic conventions across North America. Many magicians, still well-known today, were captured looking younger than I could imagine. The process of digitizing the 8mm reels has been slow and careful and now the archive is finally available. Take a look at a short sneak preview and visit the entire collection through the button below.